$150 will score you a pair of CineSkates if you pre-order them, they'll retail for $200 once the Kickstarter project is finished. 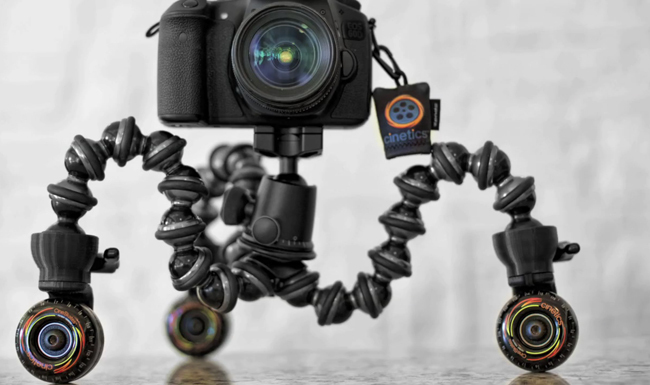 If you don't have a GorillaPod Focus, you can drop $275 on the complete CineSkates system that includes the Focus tripod with a BallHead X. The amount of interest has been tremendous with Cinetics reaching their funding goal of $20,000 in just one day. Check out the video below of the CineSkates in action!